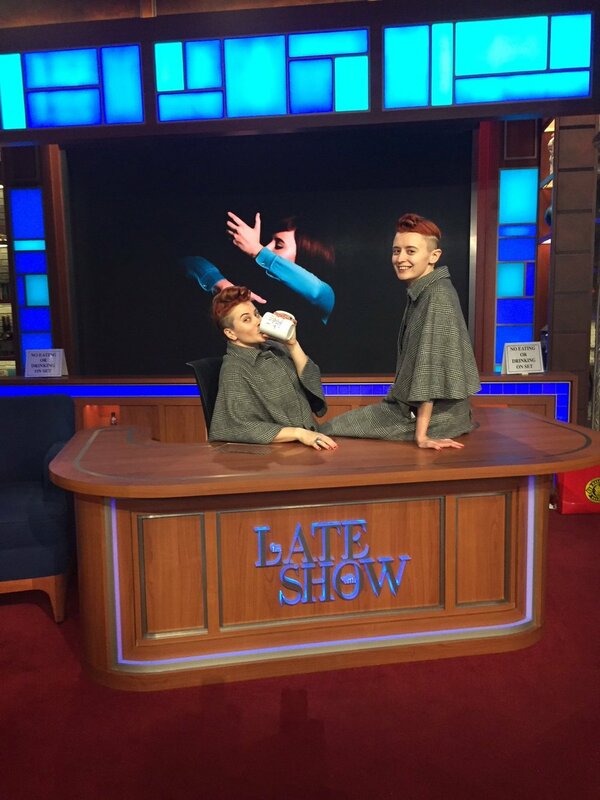 Lucius stopped by The Late Show with Stephen Colbert last night to perform their hit single "Born Again Teen." The performance showcased the band's dynamic vocals and explosive instrumentals as they explore a new pop-inspired sound. The track is off their upcoming album, 'Good Grief,' out March 11. See the performance below and then head over to NPR for a First Listen of the whole album.